Ask anyone you meet what they know about Cape Town, and you’re likely to hear “wine” among the first few responses. Cape Town is rightly famous for its wine production, with a viticultural history dating back to the 1650s. Cape Town’s Mediterranean climate, with its rainy winters and long, dry summers, provides the perfect growing conditions for grapes. Of course, the history wasn’t always as glamorous as the rolling valleys, modern tasting rooms, and charming manor houses we see today. In the early 1650s, Cape Town was established as a refreshment station along the Spice Route between Europe and Asia, and the first vines were planted by the Dutch governor, Jan van Riebeeck. Old Jan didn’t know the first thing about notes of gooseberry or tannins or oak. All he knew was that the wine would prevent scurvy for those starving, sickly sailors rounding the Cape. Or, he thought he knew that. Unfortunately, as we now know, you can’t replace your five-a-day with booze. Jan’s humble vineyard fell out of use after this blunder, but 30 years later another Dutch governor named Simon van der Stel was granted 2500 hectares of land in Constantia. Van der Stel fancied himself something of a winemaker, and he had the good sense to bring in some reinforcements who actually knew a thing or two about the process. The French farmers he recruited had the first drinkable Cape wines bottled by the 1680s. But “drinkable” wasn’t good enough for Simon’s tastes. He issued official decrees that made it legally necessary to produce high quality wine in the Cape. Harvesting grapes before they were fully ripe or fermenting wine in dirty barrels could earn winemakers a hefty fine. After Simon van der Stel died in 1712, his estate was split into three parts—today known as Klein Constantia, Groot Constantia, and Bergvliet respectively—and sold. The Bergvliet vines were ripped up to make way for livestock. Groot Constantia, where Simon’s house stood, fell into disrepair, and eventually the vines gave way to unkempt fields. With him, the culture of wine-making—that meticulous, obsessive madness—that makes for really good wine, had almost died too. Most Cape cultivators at the time thought of wine like any other crop; if it wasn’t going to turn a profit, what was the point? A few lost interest entirely and pulled up the vines to plant orchards and other more valuable crops. Klein Constantia, however, fell into the hands of Johannes Colijn, the son of a wealthy freed slave of West African descent. Colijn set to work tending the vines, keeping the Constantia name alive with his wine. Colijn negotiated the first shipment of Constantia wines to Europe, bringing the Cape’s wine to the continent for the first time. As the wines of the Cape made their way onto the dinner tables of more and more wealthy Europeans, demand was off the charts. Colijn took out a loan and purchased the next-door Groot Constantia farm for his sister, Johanna and her husband. 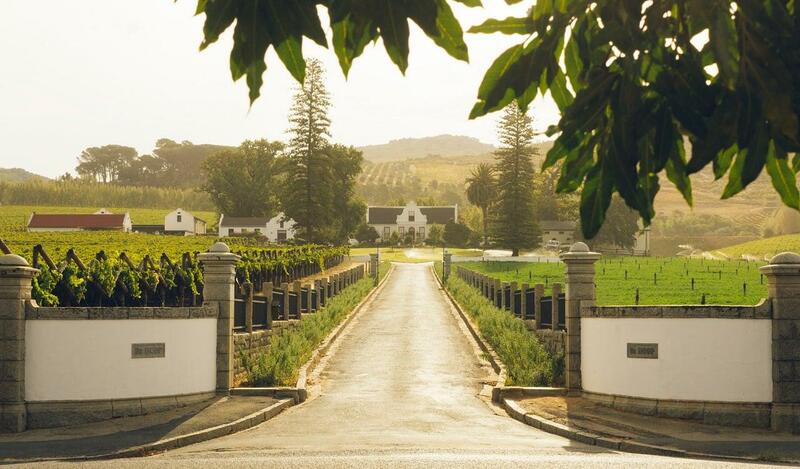 The siblings produced the famed Constantia wines together until the 1740s, and the Colijns continued the family business after they passed away. In 1779, a portion of the estate was sold to the far more famous Cloete family, who lived in the manor house and planted still more vines. The Consantia sweet wine grew in fame, notoriously landing even in the hands of Napoleon Bonaparte and Louis XVI, and ending up in the works of both Jane Austen and Charles Dickens. Napoleon Bonaparte had as much as 1,126 liters (297 gallons) of the stuff shipped to him while exiled at St Helena. It seemed there was nowhere to go but up for the wine industry in Cape Town. But what goes up must come down. And it came down hard in the late 1800s. First, the export industry took a hit when preferential tariffs where removed. Then, in 1886, almost all the vineyards where decimated by phylloxera, a microscopic pest that eats the plants. The industry ground to a complete halt and when it came to replanting, those who were bold enough to continue the trade grew grapes with a high yield, like Cinsault. And the yield was, indeed, high. 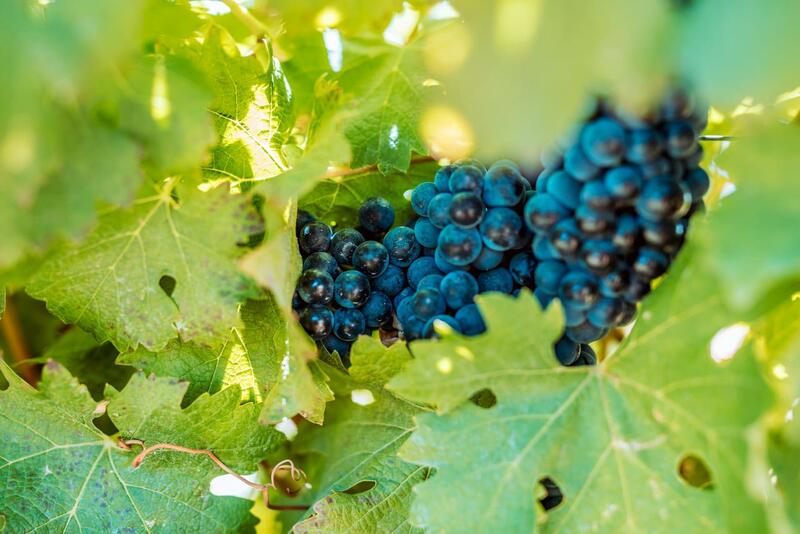 By the early 1900s, vines were groaning under the weight of grapes, and farms were hard at work pressing juice form the berries, barreling and fermenting and bottling. So much wine was produced, in fact, that there were simply not enough people to buy and drink it. Winemakers were left to tip barrels into streams, letting the wine flow in rivers off their farms and out to sea. Demand dropped and with it, so did the prices. It was this imbalnce that prompted the South African government to form KWV (Koöperatieve Wijnbouwers Vereniging van Zuid-Afrika Bpkt), a co-operative that grew to set policies and prices for the wine industry. These policies had the knock-on effect of paving way for fortified wines and brandy production, for which KWV is still famous. But while the industry may have clawed its way out of rock bottom, the industry had another big knock coming its way. The apartheid era ushered in sanctions and boycotts, and exports dried up. This was a dark time for the country as a whole, affecting every aspect of daily life, the economy, and the cultural and political landscape of South Africa. It lasted for the better part of 50 years, until finally in 1994 the first democratic elections took place. Nelson Mandela was elected president, and apartheid was over. Winemakers finally had all the pieces in place to grow, bottle, and sell the Cape wine, and it began a kind of renaissance. 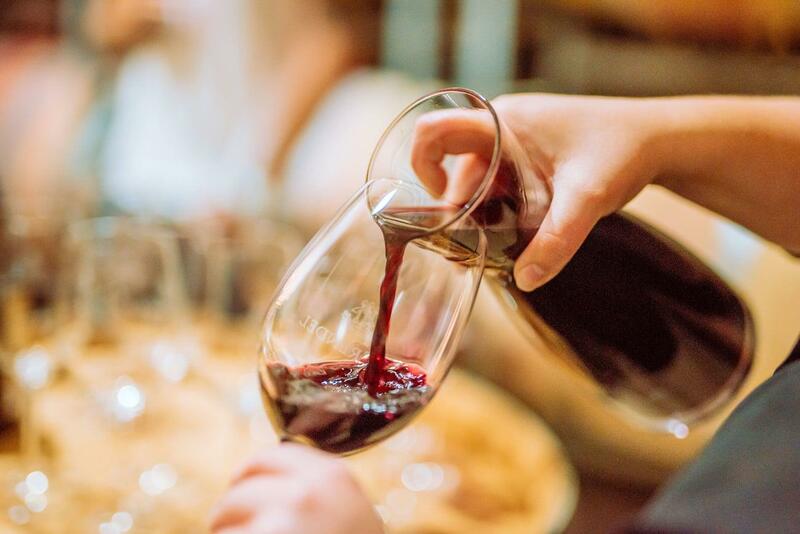 Within 10 years, Cape Town’s wine was served across the globe, and today you’ll find fine local wines at every restaurant and bar in town. 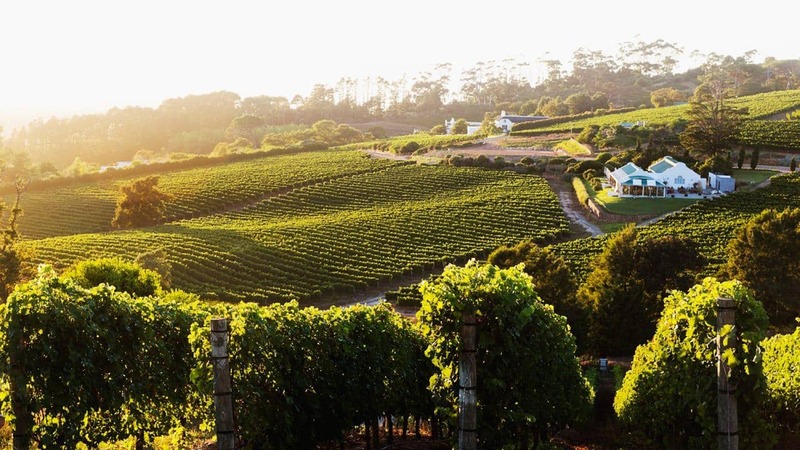 Check out the Constantia Wine Route to experience these, and the famous historic Constantia Wines, for yourself. See pictures others have shared of their wine-tasting adventures, and share your own using #lovecapetown!